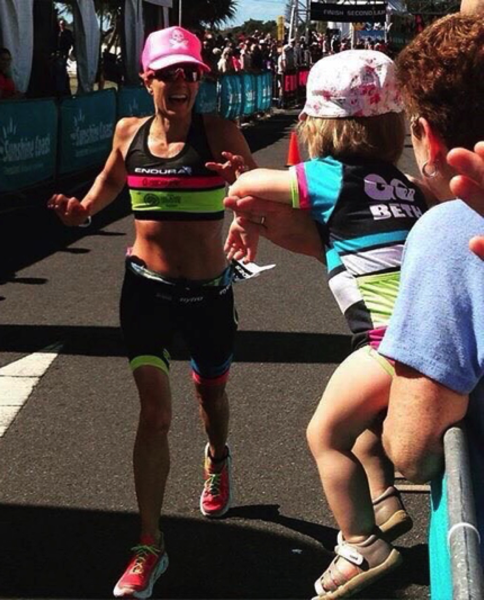 The last few years have been a total whirlwind for Beth: Starting a new relationship with an Australian Pro triathlete training in California who “happened” to live next door, wondering why she was vomiting at IM Wisconsin 2013, supporting her new boyfriend who finished 2nd in Kona, finding out she was pregnant, having her baby daughter Wynne at the end of May ’14 and getting back into Ironman racing in September. And that was just the start of her crazy busy 2015 racing season! For a good Kona result, Beth needs to limit the time she looses to the rest of the field on the swim. “I need to get into a solid swim pack that swims around 1 hour. If I come out of the water with this group of girls, I can set myself up for a really good day. 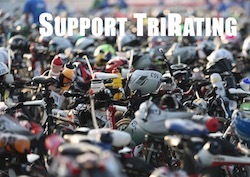 I love non-wetsuit swims without surf/beach entry, so Kona is a great course for me and I believe I can make it happen. I’m swimming 25-30k of long course meters per week with an elite squad which is giving me some uncharted swim fitness. I also thrive on the Kona atmosphere. Whether I’m racing or not, the Big Island during Ironman week is my happiest place on earth.” With her run strength she’ll be able to plow through most of the Kona field. If she manages to come off the bike not much more than 20 minutes behind the leaders, I’m sure we’ll see her run into the Top 10. This is an excerpt from my free “Kona Rating Report” – 150+ pages with tons of information about the Kona Pro races!